In 1874, he became Prime Minister of Baroda and was a member of the Legislative Council of Bombay (1885–88). He was also a member of the Indian National Association founded by Sir Surendranath Banerje from Calcutta a few years before the founding of the Indian National Congress in Bombay, with the same objectives and practices. The two groups later merged into the INC, and Naoroji was elected President of the Congress in 1886. Later Naoroji moved to Britain once again and continued his political involvement. Elected for the Liberal Party in Finsbury Central at the 1892 general election, he was the first British Indian MP. In his political campaign and duties as an MP, he was assisted by Muhammed Ali Jinnah, the future Muslim nationalist and founder of Pakistan. In 1906, Naoroji was again elected president of the Indian National Congress. Naoroji was a staunch moderate within the Congress, during the phase when opinion in the party was split between the moderates and extremists. 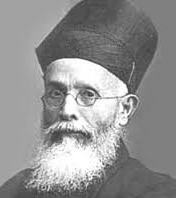 Naoroji was a mentor to both Gopal Krishna Gokhale and Mohandas Karamchand Gandhi. He published Poverty and un-British Rule in India in 1901. It offered a scathing criticism of the economic impact of British rule.